Born in Waco on April 28, 1868, Franklin Miller’s childhood saw Waco emerge from a fledgling state and into a thriving community. As a boy, he lived with his family downtown on Mary Street, between 4th and 5th avenues. Miller worked for several years in the printing business before becoming County Tax Assessor, a position he held for a long time. He was a member of all the available Masonic orders in Waco and Potentate at the Karem Shrine in 1923. 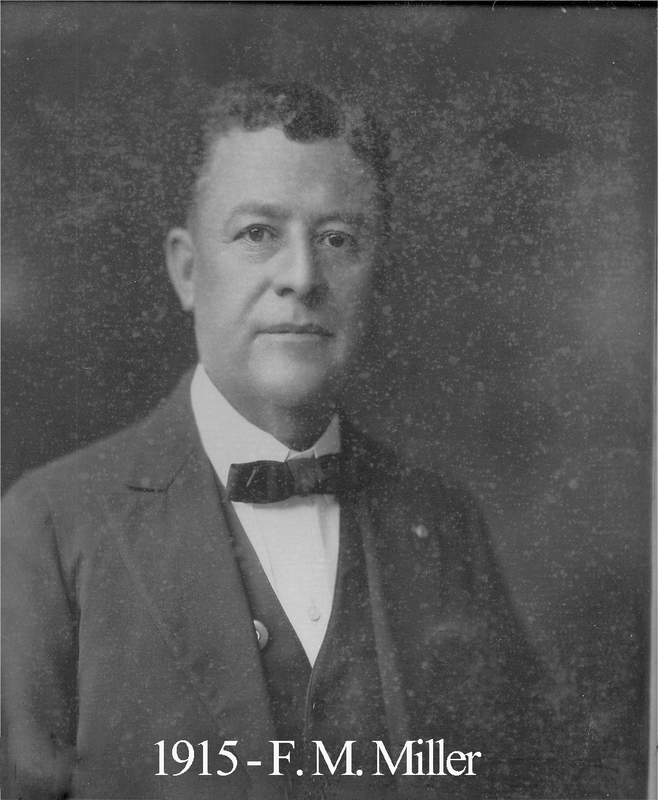 In 1914, while Master of Waco 92, Miller oversaw the creation of the Musical Masters degree. The Lodge became somewhat famous within Masonic circle for this degree team and it was invited to confer degrees all over the state. As Master of the Lodge, he also focused on increasing membership by convincing those suspended for nonpayment of dues to return and inviting Masons who were newly arrived to Waco to affiliate at Waco 92. He succeeded in this endeavor: 51 men affiliated with Waco 92 in 1914. In 1924/5, Miller was present at the ceremonies in which our 1875 cornerstone was removed from its original location, opened to view its contents, and replaced above the new cornerstone at 8th and Washington. He died in his home at 720 North 15th street.